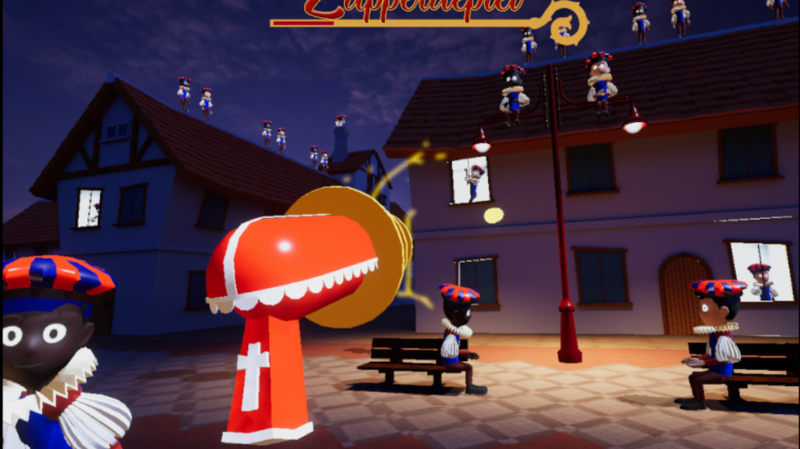 Zapperdepiet! is an after-hours project made to showcase at Bring Your Own Beamer 2018. We collaborated with 2 nerd-friends, Jelle Vandewiele en Thomas Soreyn, to start the conversation about Black Pete. We even went further and measured all game sessions, resulting in an election: Black Pete or Roetpiet? Black Pete won with a score of 61%! Sorry, Roetpiet! Better luck next time.